Craig Young Consulting to exhibit at the new Body Power Fitness Trade Show. Organisers of Body Power Expo, the largest indoor consumer fitness event in the world, recently announced the rebrand and a shift in focus that will engage with the fitness sector like no other show on offer in the UK. The BP Fitness Trade Show will focus on delivering an extensive exhibition with over 100 innovative brands that offer fitness solutions to various markets, including, Personal Trainer Studios, Independent Gyms, Universities, Schools and Colleges, Hotel Gyms, Boutique Fitness Studios, Student Accommodation Gyms, Corporate & Company Gyms, CrossFit Gyms, Gym Chains and Franchises and Residential Care Homes. If you are planning on visiting the show, visit us on stand C100 and we are also featuring the TireFlip 180 and HiTrainer ATP within the functional training zone during the 2 day event. 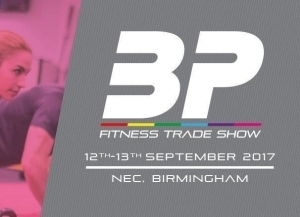 Body Power Fitness Trade Show, 12th/13th September, NEC, Birmingham.